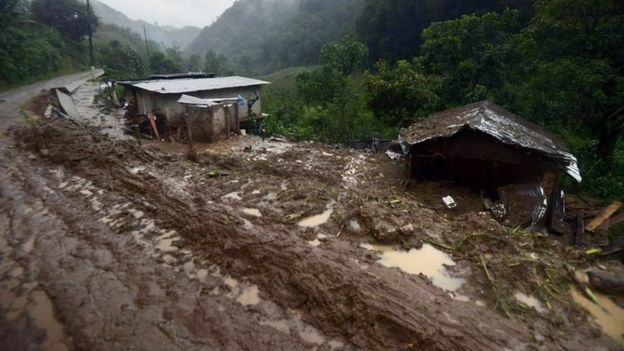 Mudslides triggered by intense rainfall in eastern Mexico killed 38 people during the weekend as saturated hillsides collapsed onto modest homes in the wake of now-dissipated Tropical Storm Earl. Luis Felipe Puente, head of national emergency services, said on Sunday that 28 people were killed in Puebla state and another 10 died in neighboring Veracruz state. He said the death toll could still rise. Images of the damage from Earl, broadcast on local television, showed massive mudslides burying entire hillsides, trees felled and buildings creaking under collapsed walls and roofs. Twenty-five of the 28 deaths in Puebla state were confirmed on Sunday near the town of Huauchinango, located in the rugged Sierra Norte de Puebla mountains, site of the worst destruction so far. Three other deaths were reported in the nearby town of Tlaola. 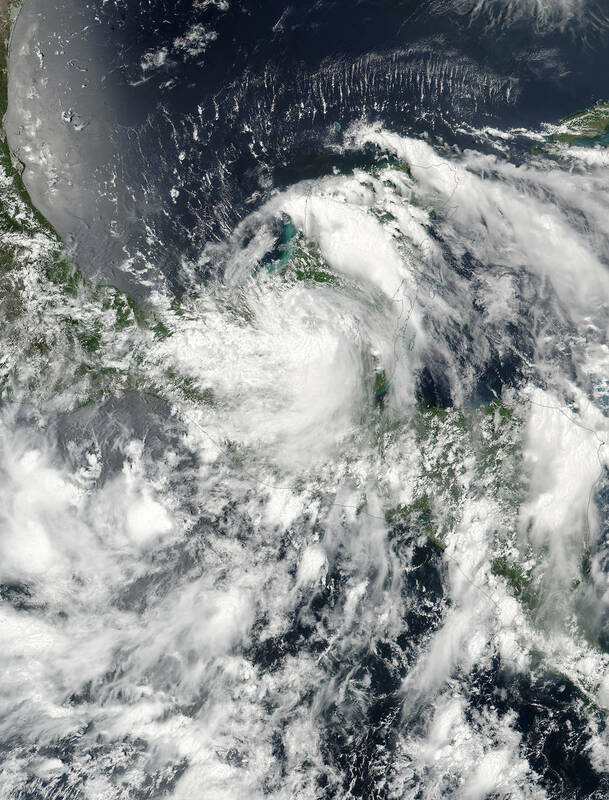 Ten people have died in Veracruz state, buried in landslides after intense rainfall and flooding struck the Gulf coast state after Earl crossed the Yucatan peninsula. "We continue to monitor rivers that are above critical levels," Governor Javier Duarte said in a post on Twitter on Sunday. Before striking Mexico, Earl battered Belize last Thursday, smashing car windows and punching holes in the roofs of Belize City's wooden houses. It also flooded parts of the coast.